The info-beamer hosted operating system gets a new major release. You don't have to do anything manually. Within the next couple of weeks, all your devices will be upgraded automatically. Please get in contact with support if you have any questions. 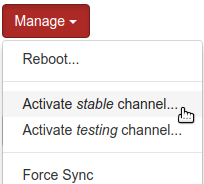 If you want to upgrade manually, you can click on the Activate stable channel option in the Manage menu on the device page of the device you want to upgrade. This will install the (probably already downloaded) new version and reboot once. Disabled HDMI clock sync for raw videos as this resulted in random blackouts on very few screens. A new matrix2d module for matrix calculations. A new tagmapper module tag calculations require by the Magic video wall package. Both NEC and Data Display's Artista IoT provide Raspberry Pi powered screens that use the Raspberry Pi Compute Module at their core. info-beamer hosted now fully supports both platforms. Installation is pretty simple and fast. Enable advanced/developer options options on your account page. This allows you to download both the standard zip file (install.zip) as well as an image file (install.img.gz) that you can directly "flash" to both the NEC and Artista device.  Follow the documentation of your device to learn how to flash. Of course contact support if you need help. Shutting down a device randomly is never a problem for info-beamer hosted: The operating system is designed to handle this perfectly well and you can't damage a device that way. That said: It might still be useful to get notified if a device reboots too often that way: Maybe the power source is unreliable or the cat is licking the GPIO pins. This release adds a dirty reboot detection and will notify you in the dashboard if a device reboots more than 5 times per day. If you ship a device to a customer, maybe you want to enable them to either use Ethernet or WiFi. The new prefer_wired options allows that: If the device detects a connected Ethernet connection while booting, it will use that. If not, it will use the configured WiFi network. This version adds the first step to future P2P downloads that help accelerate content downloads to your devices if multiple devices share the same uplink. This will greatly reduce the time it takes if you assign (for example) a big video file to multiple devices at once. The best example for that are video walls where all devices must have access to the same content. In the future, only one of the devices will have to download the video from the info-beamer hosted servers. All other devices can then fetch their content locally. The current stable release rolls out the first step towards that: peer discovery. info-beamer hosted devices in your local network can now optionally discover each other. Right now devices that discover each other use the ability to compare their local time. In the future this mechanism will be used to find other peers to download content from. The P2P support is disabled by default and can be enabled by creating an empty file /config/p2p in the config directory of your SD card. All video wall packages info-beamer hosted provides rely on a synchronized clock. This release contains additional checks that try to automatically detect desync problems. One of these checks relies on the new peer-to-peer protocol that allows info-beamer devices to detect each other in a local network. Right now this feature is opt-in an can be enabled with the /config/p2p file. Various software packages have been upgraded. The Linux kernel and Raspberry Pi firmware have been updated as well. This also fixes the Krack vulnerability that potentially affected the encryption in WPA2 protected WiFi networks. info-beamer hosted OS wasn't in any danger as all critical communication is always TLS encrypted anyway.